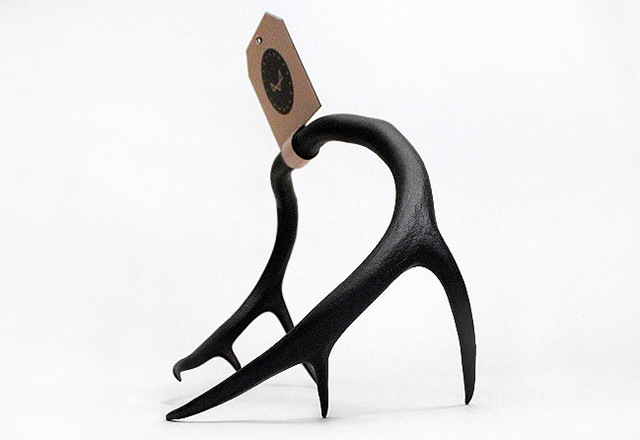 Using real deer antlers and recycled metal, New York based designer Taylor Simpson has created the Moniker Cycle Horns. 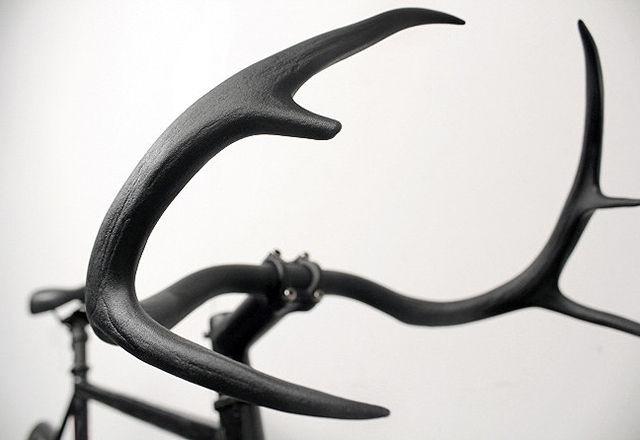 The deep black horns are designed to add a dramatic and clever touch to the steering point of bicycles. Simpson says that he came up with the idea while on a road trip through the annual World's Longest Yard Sale on Route 127, an event he goes to every year. During the epic yard sale, Simpson came across a cool pair of genuine deer antlers that a local man was selling somewhere in Kentucky. As an avid cyclist, Simpson thought it would be clever to create bicycle handlebars made of animal horns and antlers. 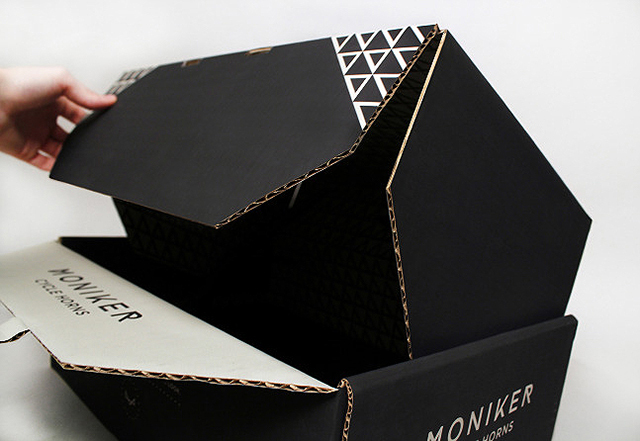 After some fine tuning, and proper packaging, the industrial designer debuted the first Moniker Cycle Horns.